Being one who isn’t shy of a good red lipstick, I’ve amassed quite the collection just looking for ‘the one’. Of course, I’ve came across many, as there’s so many variations. I mean, orange red, true red, blue toned red, pink toned red, dark red… need I go on? So, today I’m sharing with you all my five current favourite reds which are perfect for the festive season or for those who haven’t quite figured out their ideal shade. Let’s start with the top of the swatches, shall we? The Clinique Long Last Soft Matte Lipstick in Matte Crimson is such a dreamy shade. It glides on smoothly and it’s drying on the lips, despite its title. It leans slightly pink, but would flatter a whole host of skintones. Definitely one to look out for! Next is an old favourite of mine, the gorgeous Bobbi Brown Creamy Matte Lip Colour in Red Carpet. If you’re looking for a true red with a lot of pigment and impact, this baby is for you. I love the long lasting formula of this and I really admire the matte lipstick range from BB! One I reach for when I want a bold red! A relatively new shade is next on the list and that’s the NARS Satin Lip Pencil in Mandore. It’s a beautiful cranberry-esque red, with slightly warm brown undertones, but not in a 90’s sense. It just offers something a bit different to your standard dark reds and I love the intensity of it! 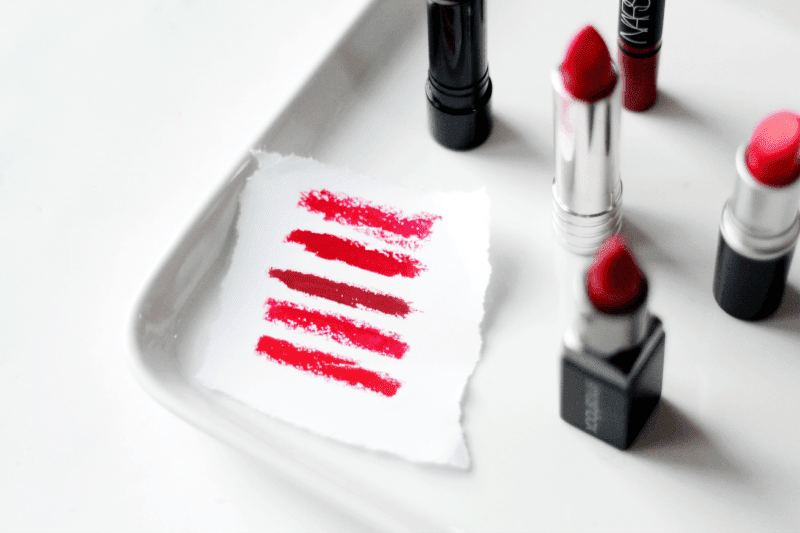 Fourth down the list is the Smashbox Be Legendary Lipstick in Infrared. It looks similar to the Clinique one in the swatch, but I promise you it’s very different. This is definitely more on the errr true red side of things, as its name suggests and I really do adore it! 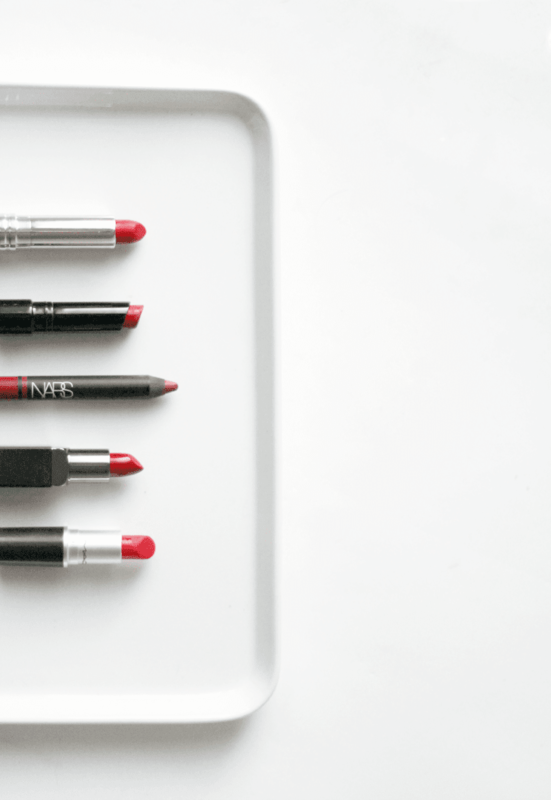 It sits really well on the lips and is creamy in consistency – the perfect wearable red! Finally, covering the orange red end of the spectrum, is one of my favourites of all time. The beautiful MAC Lady Danger was my obsession throughout the summer (until I lost it) and my love for it has returned. I won’t go on too much, but it’s such a great bright shade! Very flattering, lovely formula – I can’t fault it! Make sure you enter my £660+ huge Christmas beauty giveaway! It ends on Sunday.